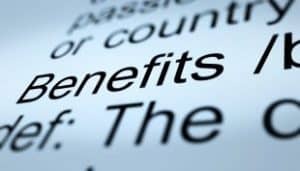 AS9100 Benefits: What's in it for you? Home / AS9100 / AS9100 Benefits: What’s in it for you? There is no escaping the fact that AS9100 is something of a necessity for the businesses that seek its certification. Whether you are a supplier or producer of products meant for just about anything that flies, you simply can’t engage in anything related to aerospace if you don’t have the required certification. For larger entities, this isn’t as much of a challenge because it’s more likely for a multi-million or billion dollar business to simply have the financial resources at their disposal. For them to justify hiring a full-time quality manager (and possibly staff) to continually conduct audits and do all the fun things that maintaining an international certification such as AS9100 requires, it’s just a matter of payroll. But what if it isn’t that simple? For smaller and medium sized businesses that engage in the aerospace supply chain, that’s simply not the case. Cost/benefit becomes that much important of an issue when margins are pushed to the edge. If this is you, then you know you can’t move a single widget anywhere near an aircraft unless you can obtain or maintain the certification in question… AS9100 in case you weren’t paying attention. AS9100 aerospace standard is the single and most commonly used quality management standard in the aerospace industry. The standard is being followed by all of the business leading organizations in the aerospace industry and by their supply chains. It is effective for all of the companies working in the aerospace sector for improving their performance of the quality management system. It includes all of the major manufacturing, design, distributing and maintenance companies. If your organization is successful in achieving the AS9100 certification, you can achieve remarkable results in the near future as it is the initial requirements of all the established companies and suppliers to work with an AS9100 certified organization. Effective in defining ways to reduce risk products and service mistakes during manufacturing. Defines methods to achieve reliable quality management system which is mandatory for an effective trade. Get your organization registered in the Online Supplier Information System’s (OASIS) list for the AS9100 certified suppliers. Increase your customer satisfaction rate by giving your stakeholders and business partners the ultimate work output. Less struggle to achieve continuous improvement through maintaining quality management system. Increased customer satisfaction as a natural by-product of improving delivery speed and reducing inefficiencies and waste. For your organization to achieve the AS9100 aerospace certification, you will be required to complete some initial requirements from your business. At the start, you must make sure all of the ambiguities have been removed and the corrective measures have been defined for the quality management system of your organization. Compare your system to that which is defined by the AS9100 standard. Take corrective measures and document all of the steps taken by your organization for compliance with the AS9100 standard. At next, you will be required to prepare for the formal assessment which is conducted by the accreditation body. Make sure that your company is prepared for this assessment by conforming the requirements defined by AS9100 aerospace standard. As soon as you complete all of the initial requirements for the certification, you will be required to submit a progress report to the auditor assigned to you. The report must consist of the work procedure which is being followed in your organization and the corrective measures taken to the quality management system. As you have all of the initial requirements fulfilled up to the standards defined by AS9100, you will be receiving the certification for your organization. It is valid for three years from the date of issuance and during this period, the auditor will stay in touch with your company’s representative to observe the overall performance. You are not only required to maintain your quality management system but also take corrective measures to improve the performance of your organization. The bottom line is that even if you are on a budget, the benefits certainly outweigh the cost. When you work with American Quality Management As9100 consultants, we’ll go out of the way to ensure the price is affordable, especially compared to hiring in-house. Also, we promise to keep working our hardest to make sure all the benefits are seen in your bottom line. We believe that the right consulting pays for itself, so if you haven’t already, contact us today to schedule a complimentary gap analysis so we can show you what we’re made of!